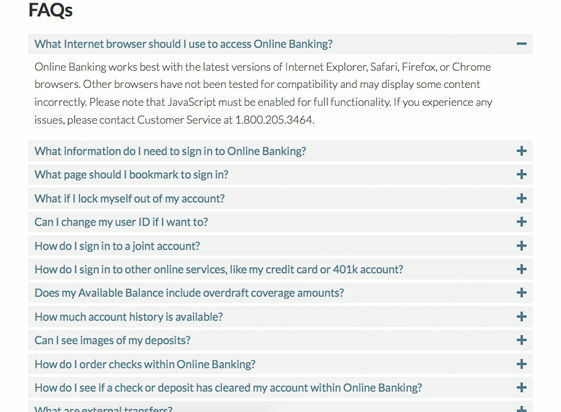 Financial institutions bring several unique challenges to a website engagement. 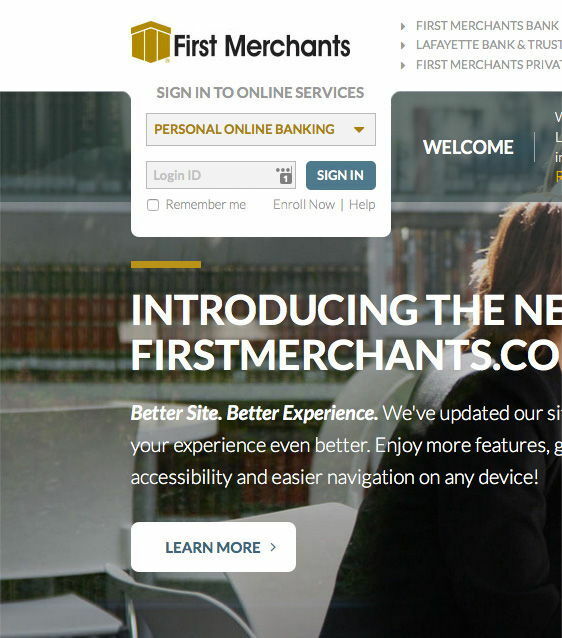 First Merchants Bank’s website was outdated and in need of a complete overhaul. Like many banks, over the years First Merchants has expanded, acquired new businesses, added products and service lines. They had outgrown their old, outdated website. With three distinct brands and a complex navigation, the challenge for us was to organize a system that would be easy to manage day to day. We addressed the compliance issues surrounding the three brands, by creating different display types and footers that can be easily applied to the appropriate content area of the website. The design and functionality make it easy for First Merchants to manage, and the user gets a seamless experience. 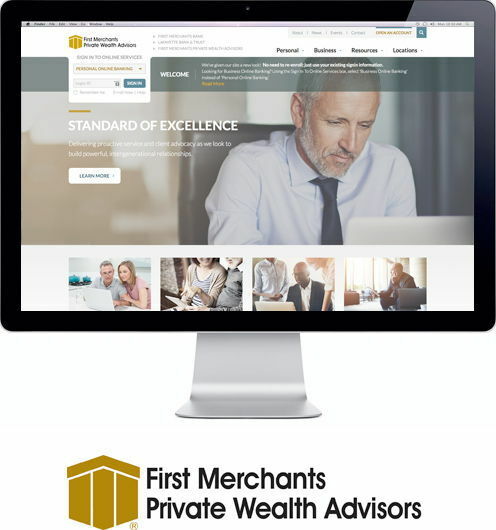 First Merchants Bank has three distinct brands: First Merchants Bank, Lafayette Bank & Trust, and First Merchants Private Wealth Advisors. 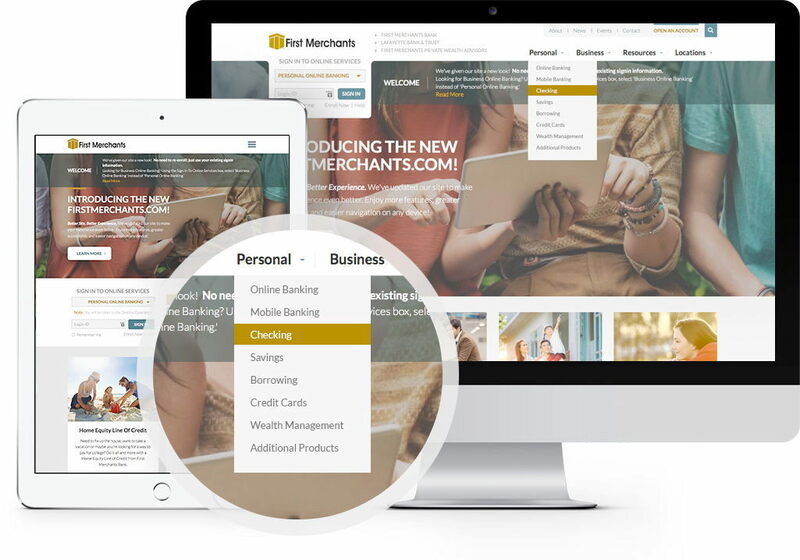 We have seen examples of banks using multiple websites and domains to handle multiple brands, but we thought there was a better way. We used display types to change out logos, footers, and compliance-related standards for each brand so that the user gets a seamless experience navigating throughout the site. One example of flexible content is the FAQ directory. FAQs are entered into a central database and then pulled into related product pages by a tagging system. The First Merchants team can simply pull in an FAQ to that particular product page, without having to retype or recreate the FAQ. Update the FAQ once in the database, and it applies the change to every page it’s on throughout the site. This is just one of many ways we’ve streamlined pain points and eliminated extra work for the First Merchants team. The new locations area of the website is a dramatic improvement for users and website managers. SpinWeb developed a custom search, with a variety of search options driven by banking center amenities, locations, and more. 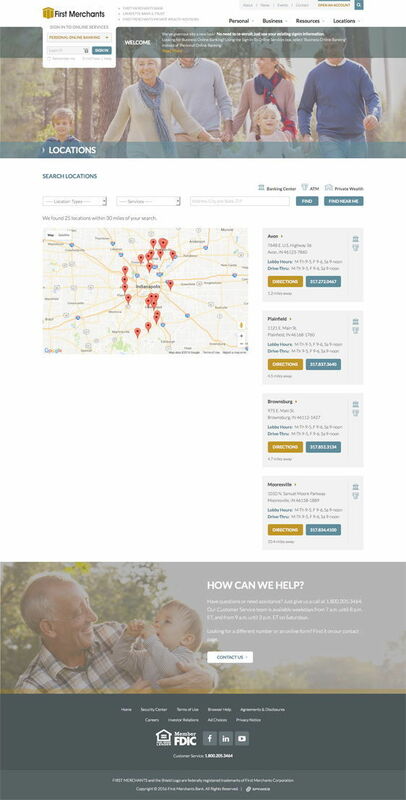 Users can search by city or by ATM and see on the interactive map where each banking center is located. 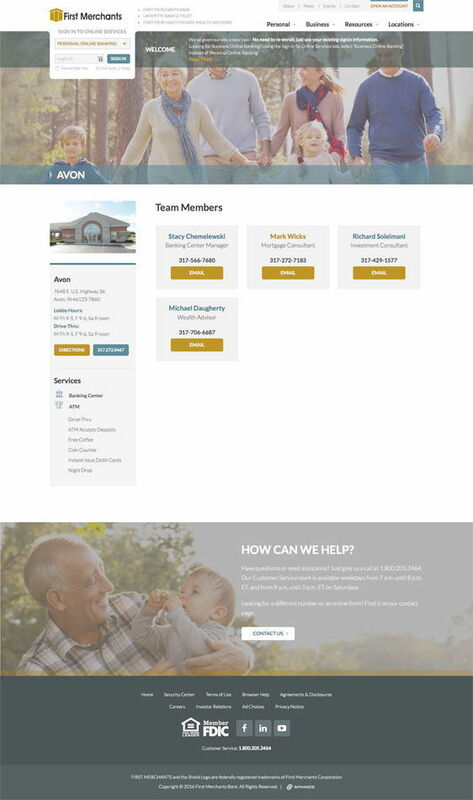 They can click into that particular banking center to see more information, team member contact information, and amenities. 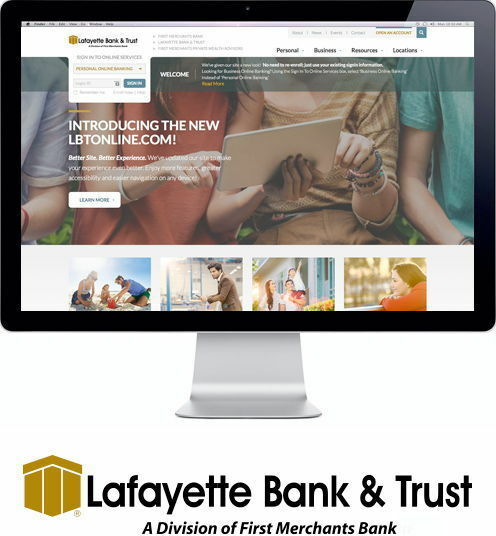 Each banking center has access to their own webpage, so they can update it with local information, promotions, and community events. SpinWeb and First Merchants spent weeks developing this custom functionality to perfect the locations area, and to deliver exactly what the client required. We created a custom drop down for users to login to any of their online services, in one convenient sign-in area. Before the redesign, all of these services were scattered throughout the website and users had to search for the online service they wanted. Now all of these services are available on the user’s primary login area of the homepage. 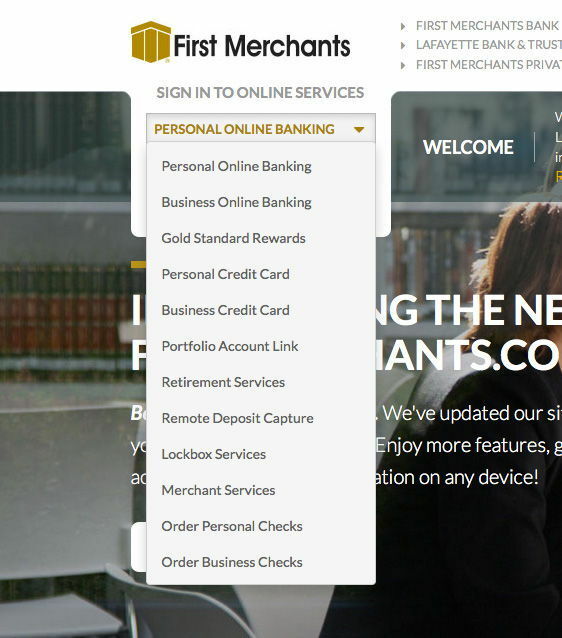 The final result of months of effort is this: a satisfied client, a website we’re all very proud of, and a lasting working relationship with First Merchants Bank. This website was a large budget endeavor, but our goal is always to find a solution to your problem, no matter the budget size. Banks and financial services industries have complex needs, security and compliance standards that are required by law, and a variety of business challenges. At SpinWeb, we understand these challenges and we have the experience to deliver a quality product that will surpass your expectations. 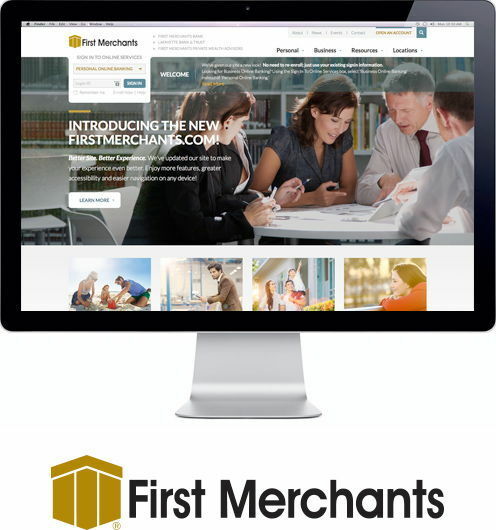 The First Merchants Bank website was an immense undertaking from the perspectives of content organization, custom functionality, third-party integrations, multiple brands and entities, compliance, and data security. The final product speaks for itself.